Charlie was the CAPCOM (capsule communicator) when Apollo 11 landed on the surface of the Moon and he uttered those now historic words; Roger Tranquility, we copy you on the ground, you gotta bunch of guys about to turn blue, we’re breathing again, thanks a lot. 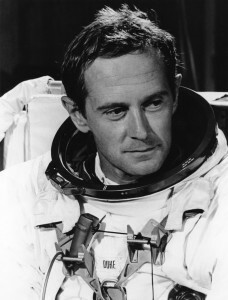 Charlie was the Lunar Module Pilot on Apollo 16 and landed on the Moon in the Descartes Highlands on 21st April 1972 and in doing so he became the 10th human being to walk upon the surface of the Moon. As you can imagine, this qualifies Charlie to deliver talks that are incredibly detailed and accurate. 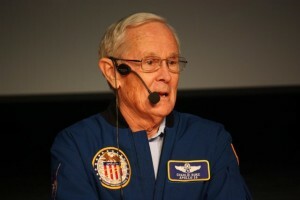 Charlie has tremendous energy and is a frequent visitor to the UK where he often gives talks on his first hand experiences of the amazing Apollo Missions to the Moon.